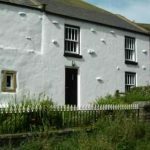 There is a wide variety of self catering accommodation in and around Kirkby Stephen. Please click on the links below to find out more about the establishments listed. ASHLEY BANK is peacefully located near the head of the Ravenstonedale valley, with magnificent views of the Howgill Fells. It is the ideal country location for family and groups of friends for a special holiday or celebration. Fully furnished and equipped to a high standard with great emphasis on comfort. 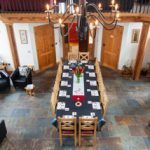 Ashley Cottage – sleeps 12 in 5 bedrooms and 4 bathrooms, 1 double, ensuite bathroom, 2 twin shared bathroom, 2 family (twin +1 single) ensuite bathrooms. Beechtree Cottage sleeps two plus a double bed settee in the lounge. 3/4 acre of garden and orchard, covered patio ideal from children and grown ups to enjoy outdoor games. 5.5 miles from junction J38 on the M6 in tranquil surroundings. Traditional Cottage, next to Village Green in Winton which sleeps 2 to 4 people. A mere 200 yards away from an excellent, award winning pub, The Bay Horse where you can find fantastic food to suit all tastes. 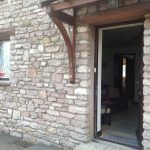 4 Black Bull Barn is a cosy ground floor self catering cottage apartment for two located in the centre of Kirkby Stephen close to restaurants, pubs, shops and all amenities. It has one double bedroom with ensuite bathroom which has a large walk in shower cubicle, WC and wash hand basin. The lounge is open plan with kitchen and dining area, it has a flat screen TV with Freeview, DVD player and the property has free WiFi. In a lovely tranquil position on the banks of the River Eden, this spacious cottage is comfortably furnished and well equipped. It is situated on the owners 100 acre working farm, where visitors are free to roam. An excellent base for walking the Eden Valley and also central for the Lake District and the Yorkshire Dales. 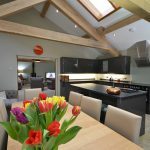 A recent, tastefully converted barn, close to the picturesque village of Ravenstonedale, 4 miles from Kirkby Stephen. Suitable for 4 people and up to 2 dogs. Within a walking distance of the picturesque town of Kirkby Stephen, a perfect base for exploring Yorkshire, Cumbria, Pennines and the Lake District. Coach House Cottage, at Church Brough, is located on a bridleway in unspoilt countryside and in view of Brough Castle sited on the Roman fort Verterae. 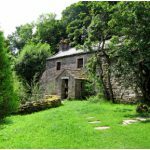 A peaceful getaway, ideal for long and short breaks, the stone built cottage is completely self contained. 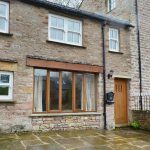 This former Methodist Chapel is situated in Kaber, 2 miles from Kirkby Stephen, between the Lake District and the Yorkshire Dales, in an area of outstanding natural beauty and with 360 degree views of the Lake District fells and surrounding countryside. This is an alternative self catering venue to which you can bring family and friends for an active or relaxing holiday, short break, celebration or reunion. It also provides the perfect environment for secluded business meetings. 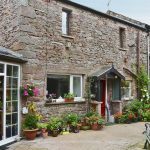 Low Mill is on the banks of the River Eden, beautifully sited with views of open countryside yet within walking distance (500 yards) of Kirkby Stephen. The cottage is in a rural setting but where you won’t need the car for shopping or eating out. Your pets are welcome. 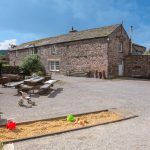 Low Ploughlands consists of 2 barns accommodationg 8 people in each (16 overall), we can also provide travel cots and high chairs. Outside there are grass banks for children to roll down, a fire pit to toast marshmallows and gaze at the stars and BBQ’s with a view. The accommodation is perfect for large family groups or friends holidaying together. 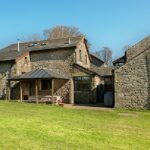 Nelson Barn provides you with luxury holiday accommodation in the heart of the Eden Valley. This restored Grade II listed barn has been lovingly converted with families and friends in mind. 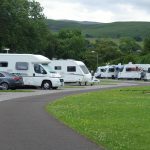 A picturesque family run Caravan Park and Campsite nestled in the historic market town of Kirkby Stephen. The park edges on to the Yorkshire Dales National Park and is only a short drive from the Lake District National Park. We offer flat, level pitches for tourers and motorhomes with electric hook ups and a separate camping field for tents including 2 large family camping pods. Our toilet and shower facilities are of a high standard, we have a small children’s play area, laundry room and free WIFI for guests. Sandbed is a delightful two bedroom cottage situated in a superb rural location at the foot of Harter Fell, part of the spectacular Howgills. To the front of the cottage there is a breathtaking view of Wild Boar Fell with the Fellend ‘clouds’ in the foreground, where you can explore the clints and grikes while looking for fossils of long forgotten creatures in the limestone paving. 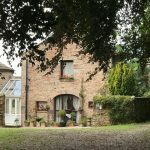 Self catering accommodation in the Eden Valley, sleeps 4. 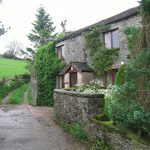 Snowdrop Cottage is a traditional Cumbrian Hay Barn converted to provide comfortable, modern holiday accommodation for 4 (1 twin, 1 double). Reached by a single track road about ¾ mile from the village of Ravenstonedale. It is unusual as it has a first floor balcony allowing great views of the surrounding countryside. Pets are welcome with the local fells being accessed from the doorstep. 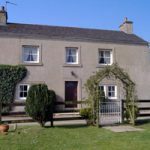 Sycamore Tree Farm is an 18th century farmhouse perched high on the Mallerstang fell side, with magnificent views over the Eden Valley. 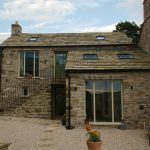 Recent Barn conversion on edge of village with superb views across the Eden Valley to the Pennines. Open plan Living/Dining/Kitchen, wood-burner stove, sun porch, patio and enclosed garden. Double Bedroom, bath and shower room, study with futon. 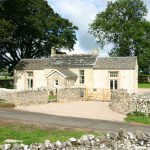 Waitby School is an historic and luxurious holiday cottage set amid some of England`s most stunning countryside. Rated Five-Star Gold by Enjoy England and finalist in the Cumbrian Tourism Awards 2010. Originally built in 1680, this stylish boutique-style holiday accommodation sleeps six to seven people. Standing alone on a breathtaking fell near Kirkby Stephen, Waitby School enjoys glorious uninterrupted views of the surrounding countryside. 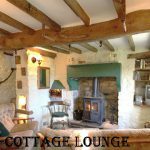 The cottage is perfect for unwinding in complete luxury, set in absolute tranquillity, but close enough to Kirkby Stephen for guests not to feel isolated.